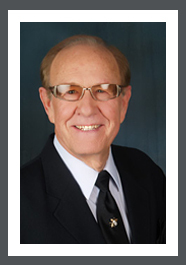 He is a civil engineering graduate of New Mexico State University, Named one of the Ten Outstanding Young Men In America by the U. S. Jaycees in 1964, Ed Foreman has been a leader in executive development programs since 1960. He is a board member, officer, or major stockholder of a dozen successful corporations. He is co-founder, with Earlene Vining, and President of Executive Development Systems of Dallas, Texas. He is a motivational speaker in Dallas. Among his topics are “How to Make Every Day a Terrific Day!”, “Making Quality Performance a Lifestyle” and “Acquiring the Basic Habit Patterns of Winners.” Foreman’s message as a motivational speaker is one of health, wealth, and happiness. He caters primarily to business leaders. Ed was “positively” featured on CBS News’ “60 Minutes.” In addition to his internationally popular 3-day SUCCESSFUL LIFE Course, Ed “tailors” presentations using his client’s terminology and themes to address specific areas of interest. Ed Foreman holds the Council of Peers Award for Excellence (CPAE), the highest honor bestowed by the National Speakers Association, held by fewer than 100 people worldwide and is one of only eight people to receive the Distinguished Faculty Award of the Institute For Management Studies. He received a standing ovation in 2008 as he was honored with a “Legends of the Speaking Profession” Lifetime Achievement Award.